Let’s Get to Know … Praful Aggarwal! Joining a new running group can be a bit intimidating. But Milwaukee transplant, Praful Aggarwal, encourages everyone to give it a try. 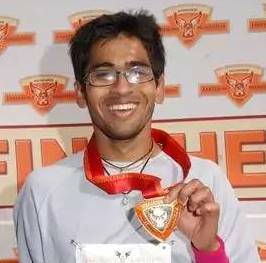 Read on to learn more about Praful and his running journey! Years running: About 3 years ago, I got on a treadmill for the first time. But when tragedy struck the Boston Marathon, I decided to take running more seriously. My friend, Wendy Demos, helped me understand running. She introduced me to races, training plans, running stores, like PRO, and so much more. So I would have to say that I have been running for a little more than 2 years. Favorite workout: I enjoy working out in a group, so anytime I get to participate in a group run or fitness class is when I have the most fun. More specifically I really enjoy speed workouts at the Hart Park track and Core/Strength classes at the WAC Wauwatosa. Favorite gear: I am not too gear heavy and just need my Timex (30-lap watch) and shoes. Pre-race routine: I like to get up at least 2-3 hours before a race in order to foam roll/stretch and get my stomach to feel like I want it to. Besides that, just get to the race and warm-up. Favorite post-race treat: Watermelon and Oranges. Favorite distance to race: Half Marathon. My first “real” race was a half marathon, so I just have a special thing for half marathons. Favorite inspirational running quote: I would have to say, “Run Forrest Run” from Forrest Gump. I used to be really big, so I took up running on a treadmill to get in shape. I quickly realized how boring and monotonous it was. So I started running outside and I really enjoyed it. However, once the distances started to get longer, my interest in running started to decline. 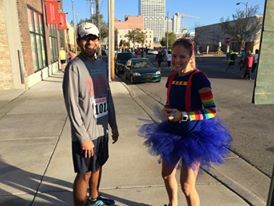 Then one day, I ran into Angie Smith at a Lakefront Marathon Build-up Run and she literally took me under her wing. She introduced me to people and then I started running with her, Mariya Sorensen, Paul Kopernik, Robert Kowalski and others. There hasn’t been a day since that I haven’t enjoyed a run. Even when I have to run alone, the anticipation of running with my buddies later that week or next week and chatting about our training and stuff is what really keeps me going. And there is also the fact that I don’t want to get big again and, due to my love for food, if I don’t run I’ll be a beach ball in no time. Fill in the blank: When I run, I feel _______! To be honest, I just want to keep running. But as far as goals go, I want to improve on my half marathon time and get in the 1:35 range. Besides that, it’ll be really cool to one day say that I ran Boston. How are you involved in the local running community and what encouraged you to get involved? The first thing I did was become a member of the Badgerland Striders, which has been incredible. It helped me identify racing events in MKE and I started volunteering at races. I love every bit of it. It is just so much fun and the gratitude that runners express toward volunteers is such a rewarding feeling. So, I do try to volunteer as much as I can. What prompted me to get involved is that I enjoy people watching and meeting people, so volunteering and being involved in the running community is a really good way of achieving both these things. Over the past couple of years, I have realized how awesome runners are. I always tell people that really all they have to do is show up. The veteran group members do everything they can to make you feel comfortable and enjoy the workout. That’s why I am always trying to recruit people to come to speed workouts at the Hart Park track. Where are you originally from – and what brought you to MKE? What is it like running in MKE compared with where you are from? I am from Delhi, India. I came to MKE to attend Marquette University for an MS degree. Actually MKE is where I started running and to me I really don’t know anything else. I never really ran in Delhi so I cannot compare the two, but Delhi is a big and beautiful city with some hot/humid weather for most of the year. I would imagine that runs at dusk and dawn will be really nice there. I’ll definitely take my kicks with me when I go back and will share my experience. I live in Wauwatosa and love running around Hart Park and Hansen Park. However, my favorite place to run is by Lake Michigan, especially the routes that we take during the Lakefront Marathon Build-up Runs. I really like the Hartfest Half in Wauwatosa, as it is a pretty decent-sized event, is right in my neighborhood and the food after the race is simply amazing. Last year, I ran the Lakefront Discovery Run and I had a blast. The creativity behind all the costumes was just mind-blowing. 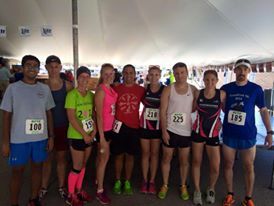 I also like the Lake Country Half in Oconomowoc. I have lived in Milwaukee for almost six years now, and I think it is a nice-size city, which makes it perfect to run and workout. All the parks, trails and sidewalks are fairly well maintained and thus are good for running. The weather is also “pretty” good for running. However, the best part about running in MKE is the people. They are welcoming, appreciative and encouraging. There is always somebody either running, walking, biking or just hanging out. Once you put your shoes and get out the door, you just experience good positive vibes which are really something else. Running has changed my life. I know this will sound corny but I feel like it is my better half as it makes me better every time I am with it. I owe so much to it and to all the people who have become a significant part of my life. These are people whom I would have never met had it not been for running. These friendships are what I really cherish the most. I just have so much fun doing this that I am always on the hunt to get more people to run, which is weird considering that there was a time when I despised running. Thanks for chatting with us, Praful! 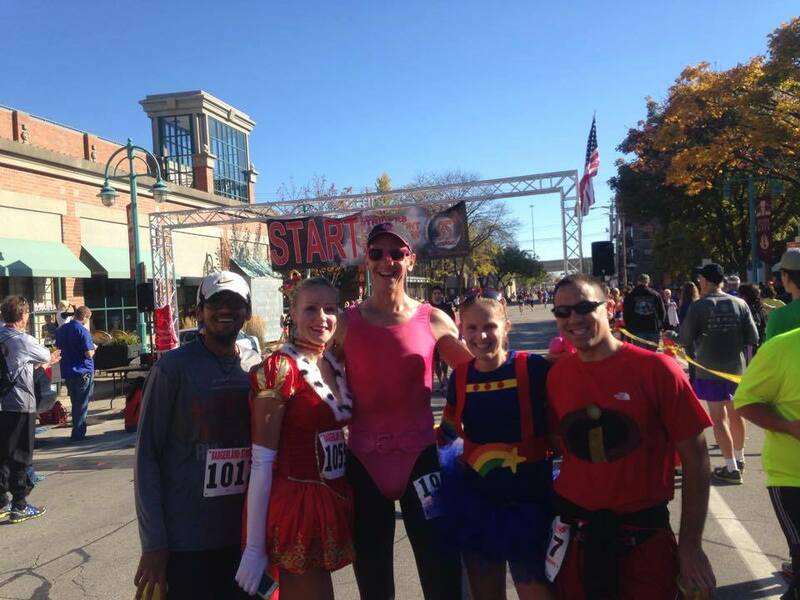 This entry was posted in MKE Runners and tagged Angie Smith, Badgerland Striders, MKE Runners, Praful Aggarwal, Running in MKE. Bookmark the permalink. ← Build Up Runs Start This Weekend! Plus, Join In For Local July Fun Runs!